Biblical family life is one of our favorite topics. In these workshops, we share not only the principles, but stories and practical ideas from our own family and others to help you put the principles into practice! Mp3 Downloads are only $4 each! Scroll to the bottom to check out. Christian marriages are breaking up everywhere. How can this be? What is wrong when a family at the forefront of the culture war spins apart? If you are raising your children for Christ, you know you are in a spiritual battle. Don’t let your marriage be the weak point in your armor. 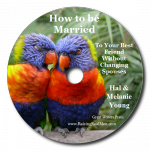 Find out about challenges your marriage may face, and how to work it through, not just to stay together, but to find joy and strength in each other as you mirror the relationship of Christ and the church to your children – and the rest of the world. Every single argument is an opportunity to grow as a family or to shred each other to pieces. 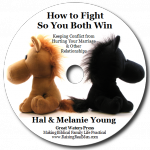 Learn the Biblical principles of fighting fair and get practical help in changing your communication in conflict to honor Christ and restore relationships. 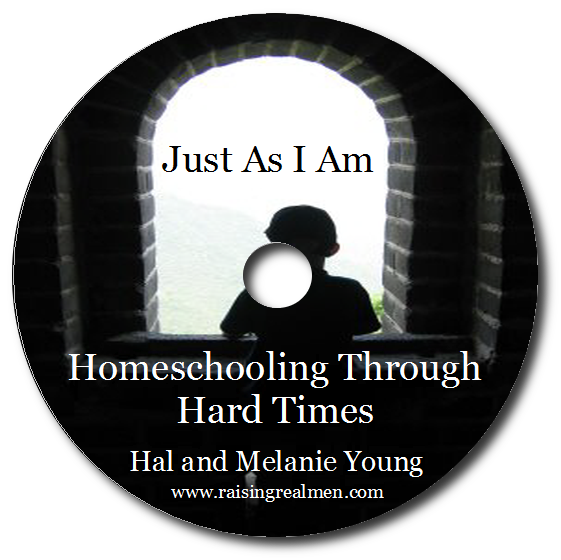 (Hal & Melanie) How can homeschooling be such a blessing and so stressful at the same time? Where do you find hope for frustrations that only a homeschooler would understand? 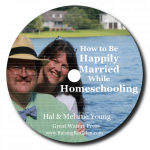 Learn about the special stresses that homeschooling places on your marriage, and how to use them to grow a stronger family from the top down. Hal and Melanie will help you turn your homeschooling marriage into a happier and more Christ-centered one. Homeschooling is a challenge at any time. Sickness, job loss, learning disabilities, business travel, and relocation are just a few of the extra stresses that can derail our best efforts to teach at home. Hal and Melanie Young have seen God’s grace in all of these situations and more. The good news is that God can enable you to teach and learn more through the hard times than you ever thought possible. Come for a frank and encouraging look at what God can do through difficulties, and why it’s so important to keep homeschooling in spite of the challenges. In this eminently practical workshop, you will learn how to have real meals on the days your science experiment eats the kitchen. Don’t worry if you have tried once-a-month cooking and didn’t like spending a whole day in the kitchen. Melanie didn’t like that either! 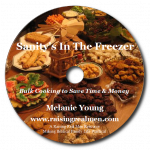 Find out how to feed your family well on less money and how to serve great dinners with minimal time in the kitchen. You will learn how to convert your favorite recipes to bulk cooking, how to take shortcuts in meal preparation, and how to bulk cook even if you have a house full of little ones or can’t spare a single day out of your schedule. There is something in this workshop for everyone – those who love to cook and those who are clueless in the kitchen. Studies show that nearly all of the active homeschooling task is done by the mother – which makes sense, because most fathers spend the majority of their days earning the family’s living. 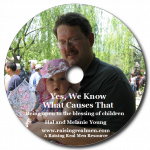 While the teaching may be delegated to Mom, Dad needs to be aware of her critical need for more than financial and moral support. She needs protection from things that may not have occurred to either one of them. Hal Young points out where some of the hidden land mines lie, and offers suggestions for how husbands can protect their wives. 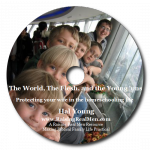 (Hal & Melanie) Why in the world do so many homeschoolers have huge families? What’s up with that? 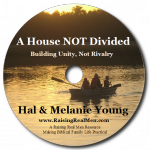 Hal and Melanie both came from typical one boy and one girl families. Hear their testimony of how and why they’ve chosen a bigger adventure. Appropriate for parents of guys and girls. No matter how much we avoid it, we’re surrounded by the messages of media, from our computers to songs on the radio. 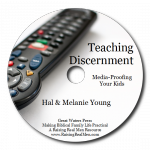 Learn how to teach your children discernment, protect them from being manipulated by the messages around them, and instead to engage their culture for Christ. In the flurry of work, homeschooling, church, and extracurricular activities, romance and physical affection can sometimes seem like unattainable dreams. 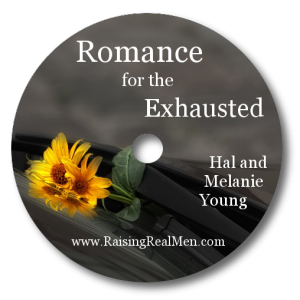 How can you find the energy for romance? Revive your marriage and enjoy your relationship more every year. Workshop mp3 Downloads are $5 $4 each. To Download Immediately: Click “Return to The Great Waters Company” after you check out. That will take you to a download page. If you forget, you will receive an email with download instructions.